Contains a high tech formula of synthetic poly alpha olefin base oils for a high viscosity index and exceptionally low pour point. It contains extreme pressure additives as well as rust, oxidation, and corrosion inhibitors to protect gears and bearings under a wide variety of load conditions. 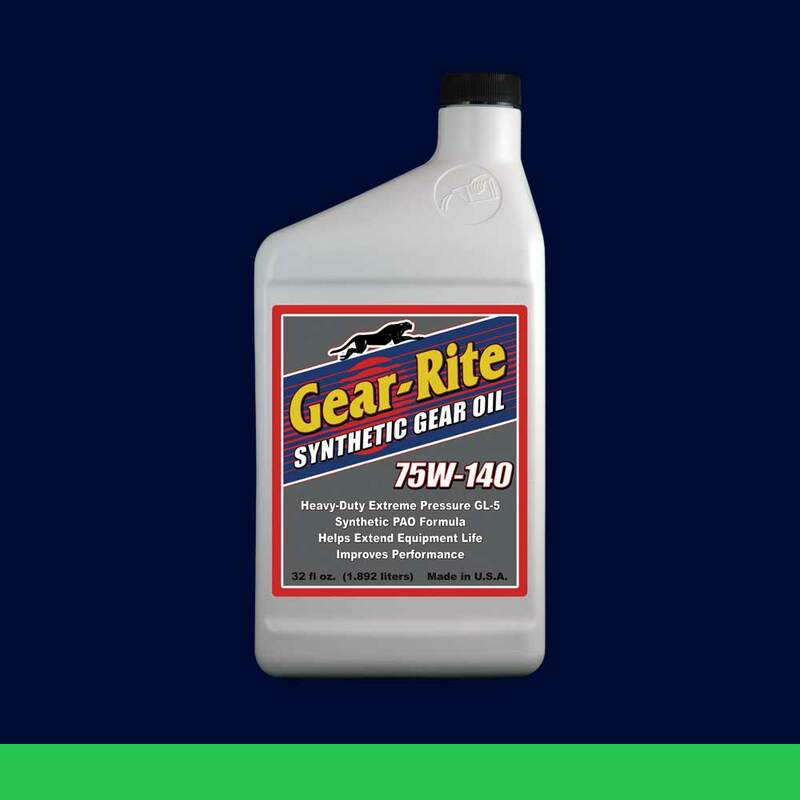 Gear-Rite outperforms conventional lubricants. It increases gear life through an extremely high film strength and superior low temperature performance. Additionally, better operating performance provides improved fuel mileage. For use in all manual transmissions, manual transaxles and final drives using gear oil. Meets or exceeds the following specifications: API GL-5, MT-1, MIL-L-2015E, U.S. Steel 224, SAE J2360, Mack Truck Go-J.